The Lantern Bay Villas are a small guard gated neighborhood of 100 town homes or condos, located right above the Dana Point Harbor, on Golden Lantern Street . An exclusive location, walking distance to all of the Harbor amenities, these townhomes also have a community pool and spa, tennis courts and gym, and many have ocean,harbor, Catalina Island and white water views. This neighborhood truly is in the heart of the Lantern Village, and Dana Point and vacation style living. Search all Lantern Bay Villas Homes currently listed for sale in the MLS, including short sales and foreclosures. For more information about any of these homes, please contact us at (949) 888-6788. Read more about what the Lantern Bay Villas Real Estate has to offer. For other neighborhoods in the area, please visit our Dana Point Real Estate page. Stunning Dana Point Harbor and Ocean Views! This magnificent two story unit is 3,133 sq. feet with huge view deck and private patio area off Master Bedroom along with back patio area. Each bedroom has their own bath. Step thru the front door and instantly you have ocean view. Living room has cathedral ceilings and open along with gas fireplace. There us a bonus room on other side of fireplace with game table and desk and amazing views! Lantern Bay Villas offers some different options for real estate: all the homes are condos ( townhouses) are are a single or two story design. They have from 2 to 3 bedrooms, 2 to 3.5 bathrooms, 1700 to 3100 sq ft, there's an underground parking garage with elevator. Lantern Bay Villas also have easy access to Lantern Bay Park walking down Golden Lantern. The home owners and residents often enjoy the advantages of not only been able to walk to all the restaurant and amenities in the Harbor, but also to the popular ' Summer Concerts at the Park', hosted by the city of Dana Point in the summer months, that are spread around the Dana Point parks, but mostly the two parks hosting them are Heritage Park and Lantern Bay Park. Due to the location above the hill, gorgeous Catalina Island sunsets can be seen from Golden Lantern, just exiting the nieghborhood. 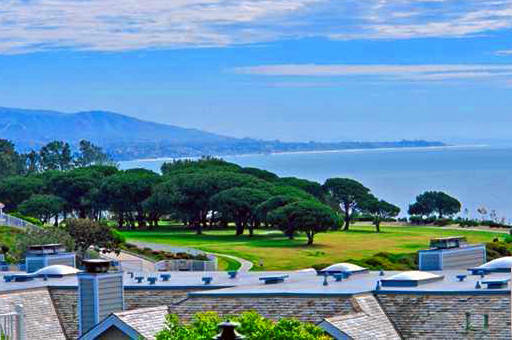 OCExecutives specializes in real estate transactions of Lantern Bay Villas in Dana Point, California. Contact us today to sell real estate or buy real estate listed in the Lantern Bay Villas community of Dana Point or for more information about any of these Dana Point Lantern Bay Villas condos. If you would like to see a list of homes in other communities in Dana Point, follow the links above, or click here for other Dana Point Real Estate.